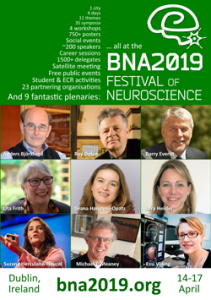 The largest event of its kind throughout Europe in 2019, the British Neuroscience Association – in partnership with Neuroscience Ireland (NI) and the British Society for Neuroendocrinology (BSN) – is excited to be bringing the international Festival of Neuroscience to Dublin, a city of culture, excitement and neuroscience! In 2019 the festival will be held in the Republic of Ireland. The French Neuroscience Society will be associated to this event and present a joint symposium entitled « Brain network development ».